What? I can make Bibimbap out of LEAN CUISINE® Sesame Chicken? Just slice some veggies, cook an egg, and done! 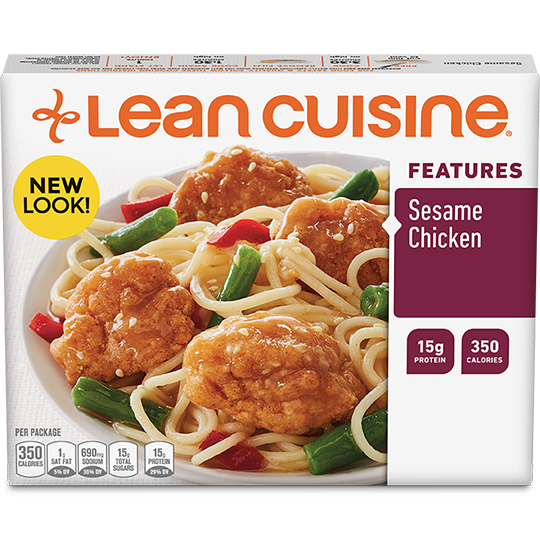 HEAT LEAN CUISINE® Sesame Chicken according to package instructions. SPRAY skillet with nonstick spray; crack egg into skillet. COOK egg 3- 4 minutes, sunny side up. PLATE the noodles of the Sesame Chicken into the center of a bowl. Then place sesame chicken, kimchee, and sliced cucumbers and carrots on top of noodles.